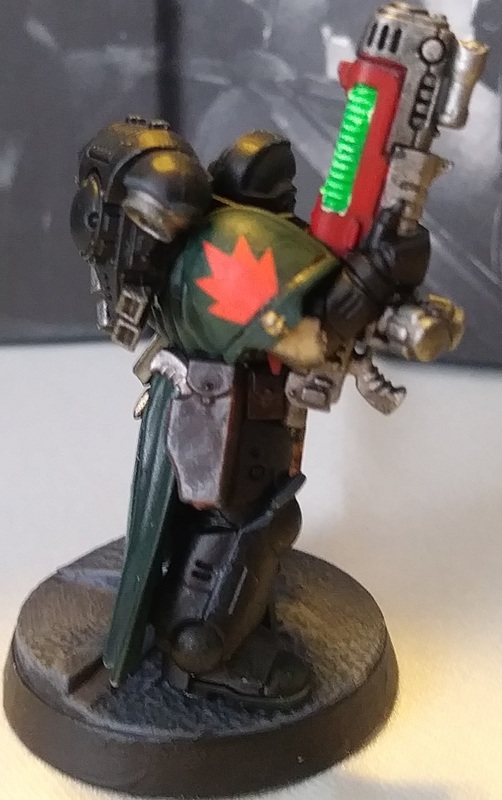 I had always liked the Dark Angels. The blending of Arthurian mythos combined with the monastic traditions was such an interesting thing to me. Though, reading more of the lore, the... Flanderization of the Chapter has irked me. I like the tactical, variable forces the First have with the Ravenwing, Deathwing and 'Greenwing'. However, I always liked black more than the green. Then I found out the original colour scheme. 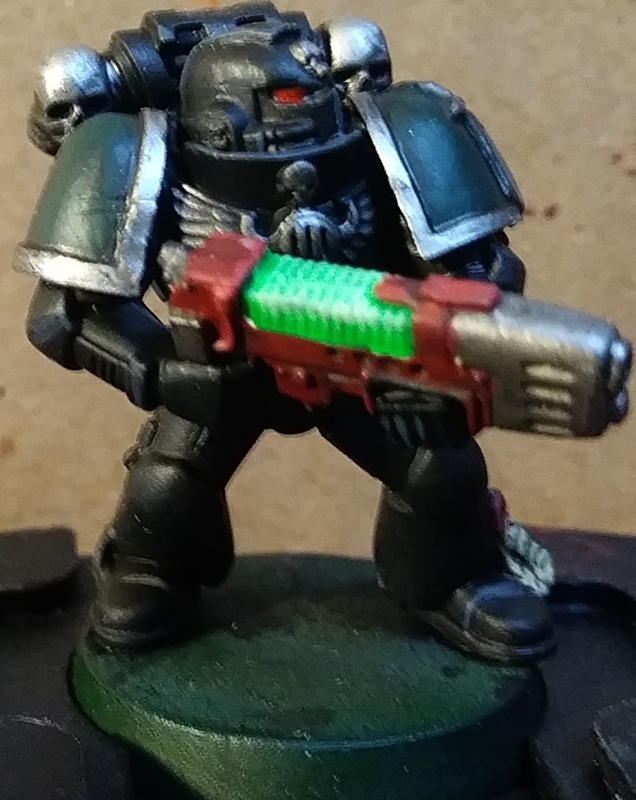 This marine here is the first of my 30k/40k Crossover Dark Angels in the 'new' colour scheme I'm going for them. Edited by Gederas, 10 March 2019 - 09:56 PM. Currently, I've got quite a few Primaris Marines to work on. 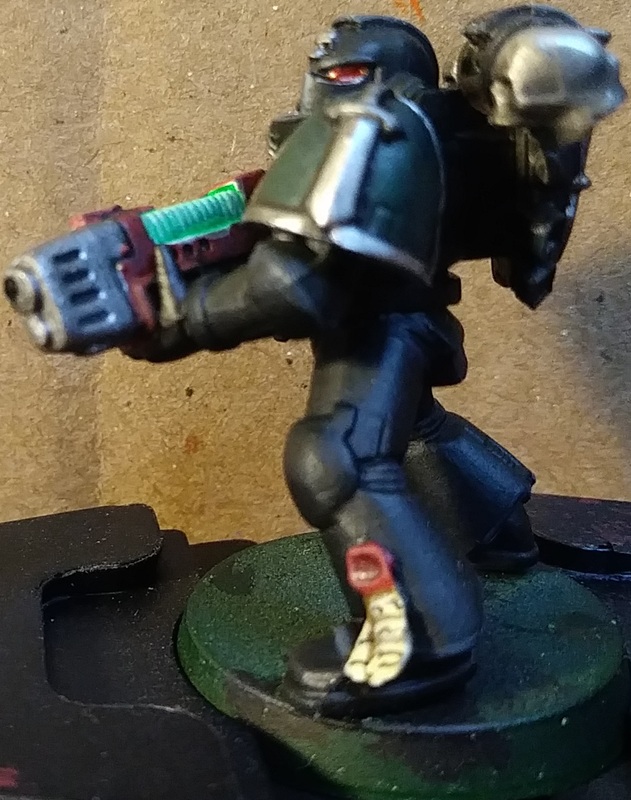 First game with my Dark Angels in forever. Was against my friend's Black Legion. These are the lists. Then two of my Black Knights squads advanced out, one getting close enough to the bike Sorcerer to shoot him in my shooting phase. 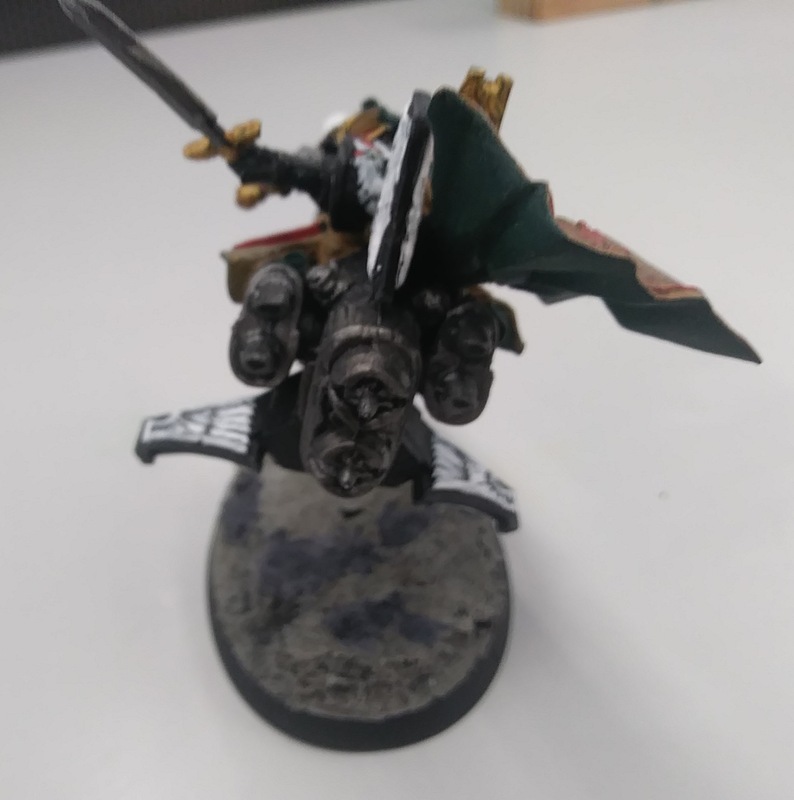 Advanced and then used Speed of the Raven on another Black Knight squad to get them close enough to the Daemon Prince to shoot him and then charge him. Sammael and the Talonmaster joined Black Knight Squad 1 and 2 in attempting to thin the herd of bikers. They managed to do a decent enough dent in the bikes. 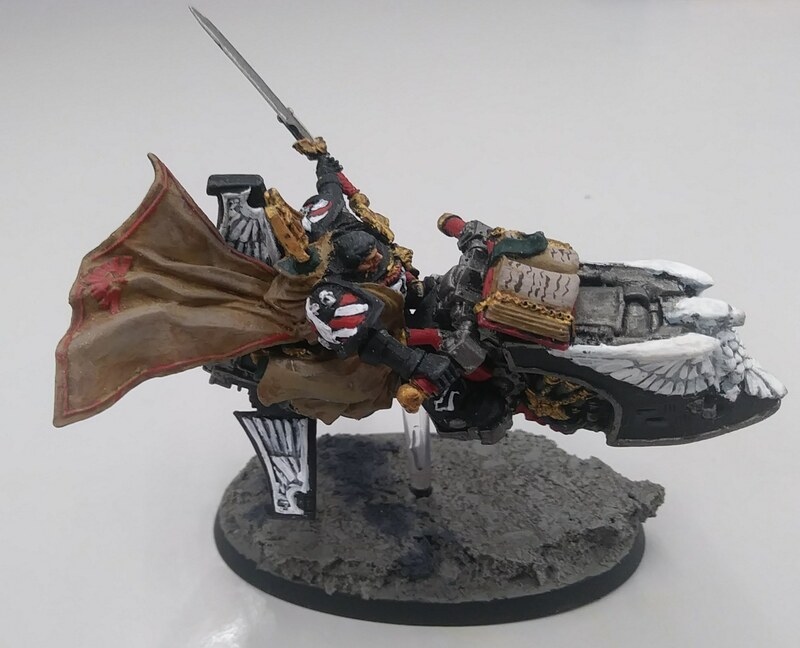 Then the Talonmaster charged the bikes, followed by Sammael and the Black Knights. One squad of bikers dead, Sammael consolidates into the Havocs. 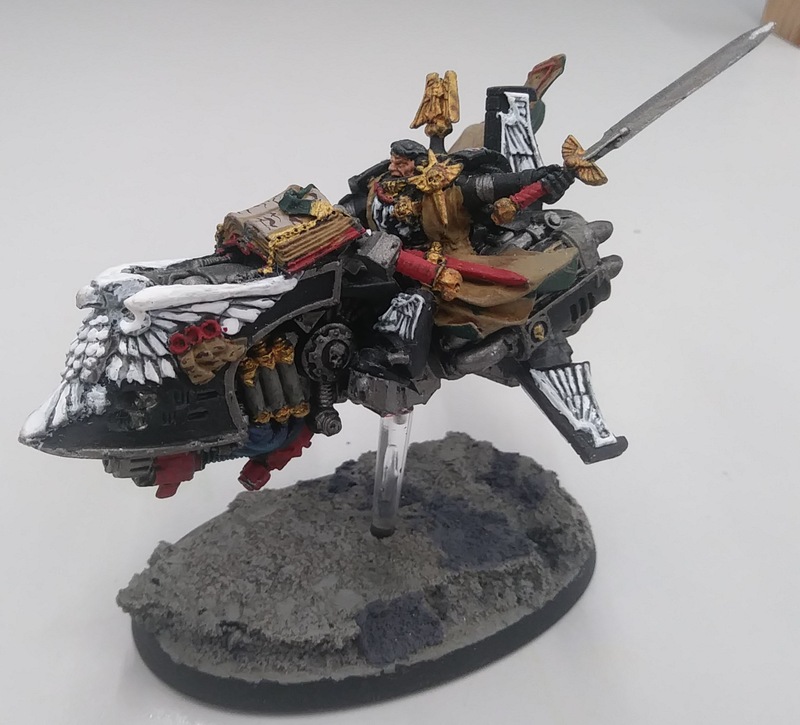 Honour the Chapter, and Sammael kills those Havocs. Then my friend's next turn happens, Sammy gets Death Hex'd and lit up because he ended up being closer than the Talonmaster, oops. The Daemon Prince charges Sammael, kills him. Only In Death.... Sammael shoots back at the Daemon Prince, bringing him down a few wounds. By turn three, I had lost Sammael, the Talonmaster, all the Black Knight squads, and all but two scouts. I had removed one Biker Squad, his Rhino and a havoc squad. Not good. Then the Hellblasters and Azrael start lighting up the traitors, picking them off one by one until only the 4-man Havoc Squad, the (heavily) wounded Daemon Prince [1 wound remaining], the Mauler Fiend, one full squad of bikers and a 2-man squad of bikers ended up at my base. I ended up with THREE models by my turn 4. 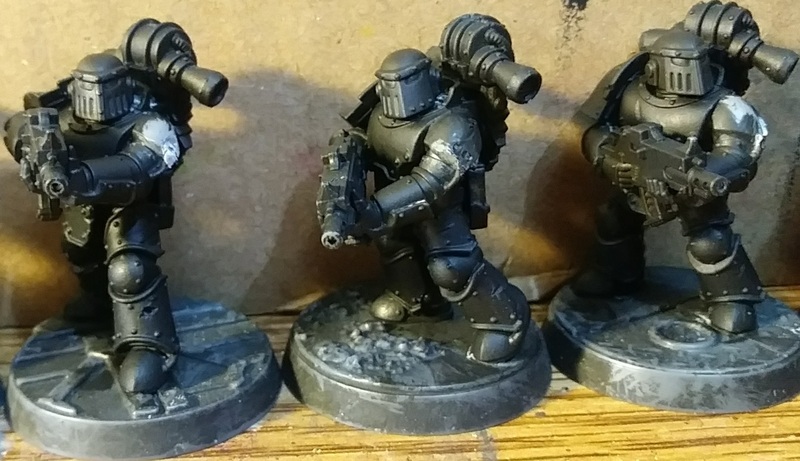 The Lieutenant, Azrael and the Hellblaster Sergeant. No guts, no glory. 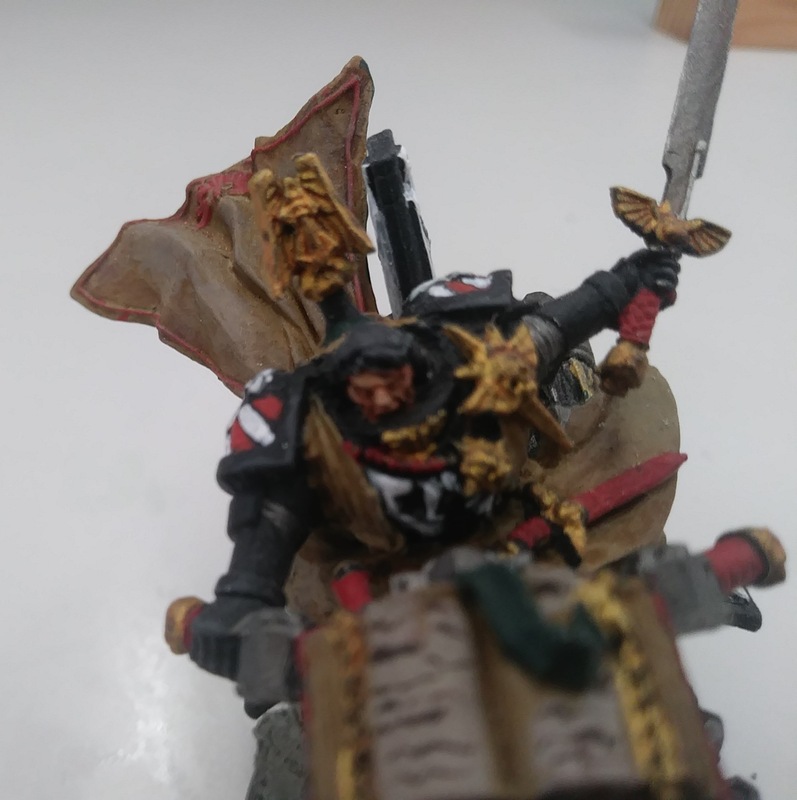 The Lieutenant, followed by the Hellblaster Sergeant and Azrael charge the bikers. One squad of bikers down, the Lieutenant dies to the Autocannons and the Daemon Prince's Warp Bolter. Then the Sergeant goes down to the Maulerfiend's Lasher Tendrils, leaving Azrael by his lonesome against the Daemon Prince and Maulerfiend. And then Azrael goes full Weaboo Fightan Magic and kills both in one round of attacks, then kills the two Bikers. Game ends on turn 5, we considered it a draw because I realized I had been rolling for Azrael as if he had a 2+ save, meaning he should have had more wounds when he 'died' to the Autocannon havocs. Good to see you are heaving fun! Keep up the good work in the Lion's name. 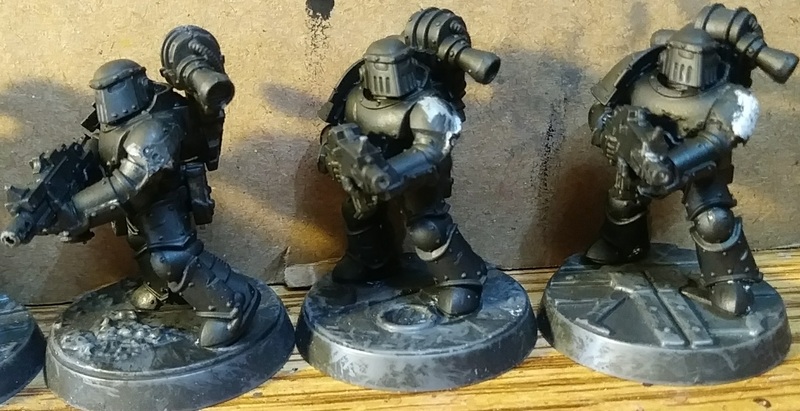 Once I finish the base for my Chaos Lord I vowed for Grotsmasha's 12 Months of Hobby Challenge, I'll be working on my Hellblasters. 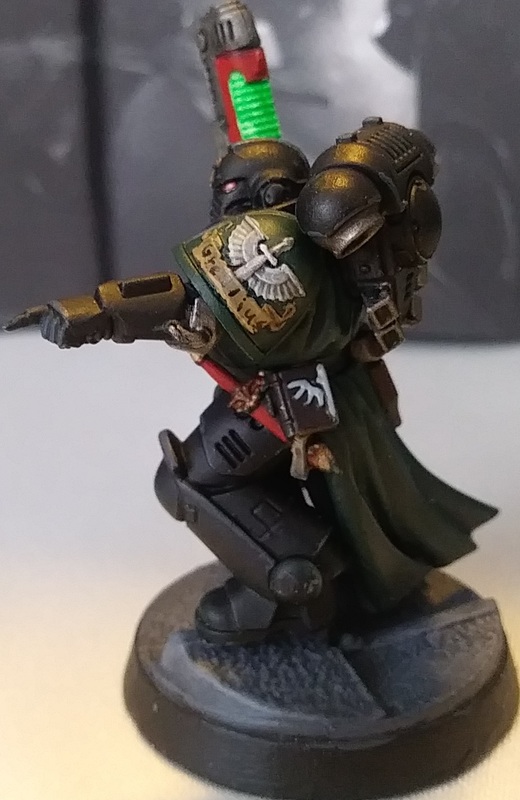 I need to figure out what colour to make the Sergeant's robes, since all my Dark Angels are black, even the new Primaris. 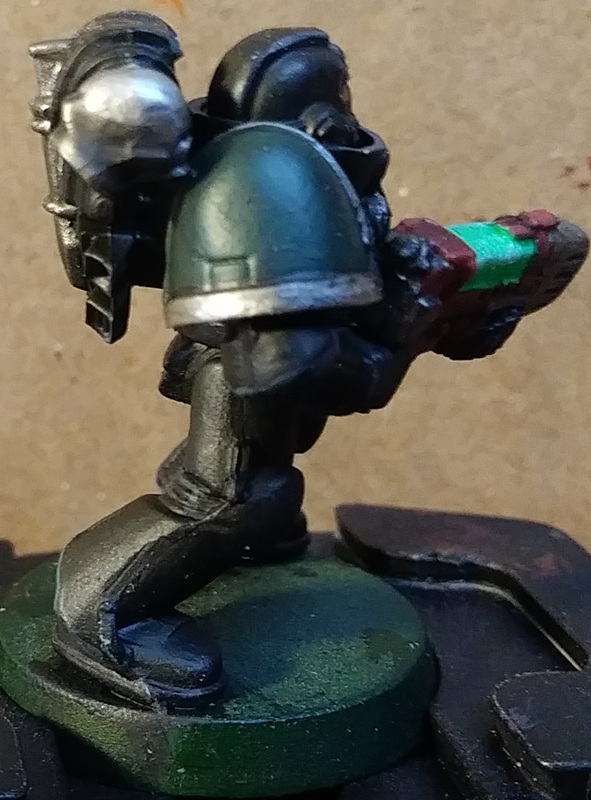 Probably gonna go the Dark Angels green since I don't feel a non-HQ/Elite Primaris should have the bone-coloured robes. Trying to splice a bionic eye into the Vanguard Librarian's face is extremely annoying. 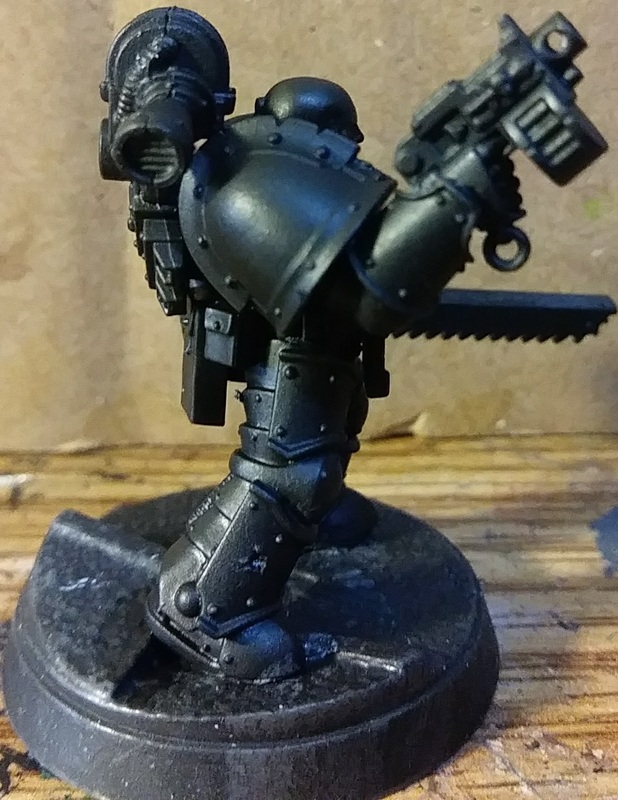 Trying to get a decent POSE using the Primaris Vanguard and Primaris Librarian arms is difficult. 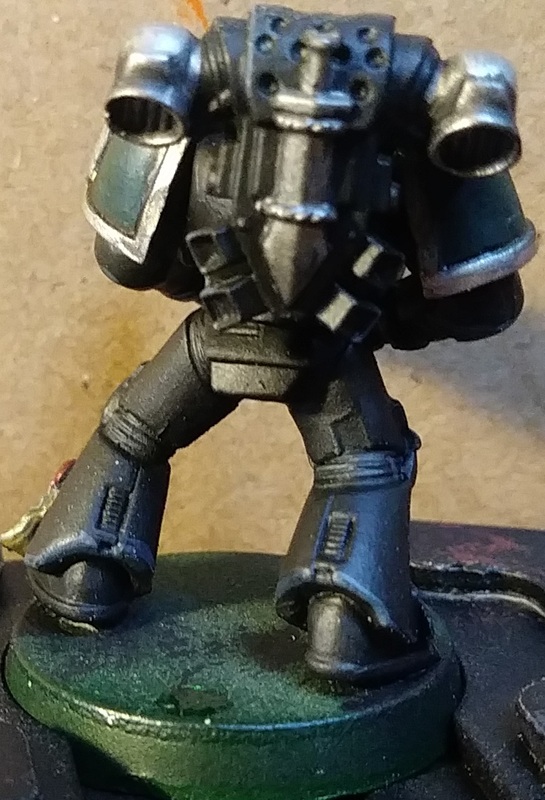 It is downright impossible to perfectly copy or emulate the actual Ezekiel model's pose due to there being no arms that fit on Primaris bodies that are like that. However, I'm quite happy with the result. Plus, it looks like he's actually in a proper fighting stance. As my friend who does more regarding swordfighting said "he looks like he's maneuvering to get to a better position. Notice how he is leaning onto his right leg and pushing with his left. He is sidestepping". I just changed the angle on the original sword arm (facing up)!!! Props for getting the bionic eye in there!!! He looks good Gederas. 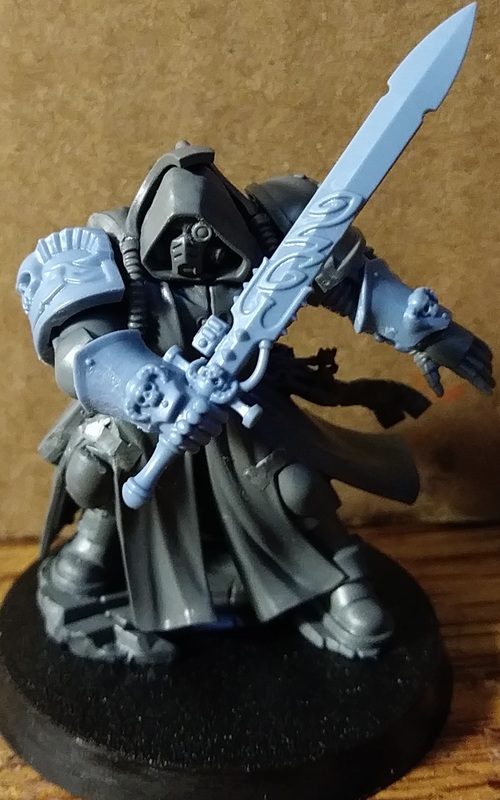 When I first saw the model I though primaris Ezekiel. 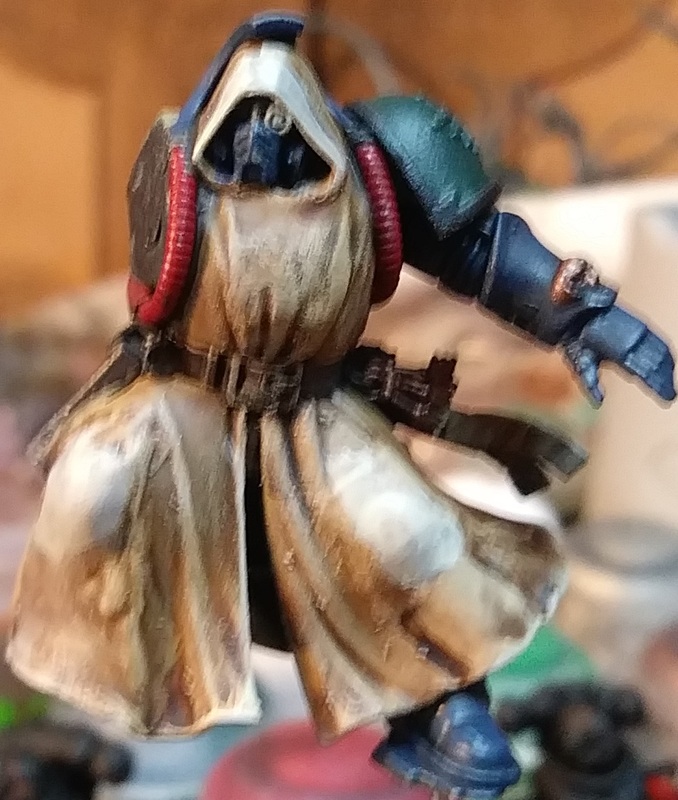 I don’t mind the leather waist coat but I’m not a fan of the buckles on the robes. How much work is it to remove them. You know you haven’t had enough sleep when you have to edit the same short post for typo’s 3 times. I give up now if there are any more. Edited by JJD, 25 March 2019 - 06:59 AM. Thanks! I'll be painting him today, so hopefully I'll have a result later today. 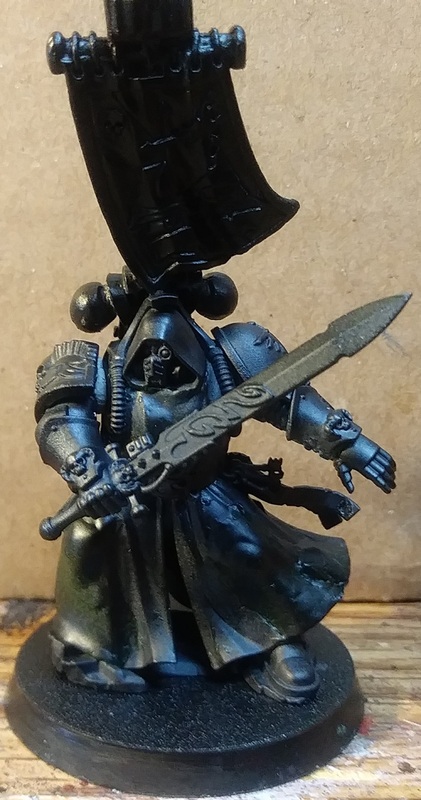 Same here And I only got rid of the leather waist coat because I have a Vanguard Librarian as well, so I needed to differentiate between the two of them more visually. And the buckles weren't too difficult to remove, just an Xacto knife was necessary. But once the buckles are removed, you definitely need to smooth it out, either with sandpaper or greenstuff. 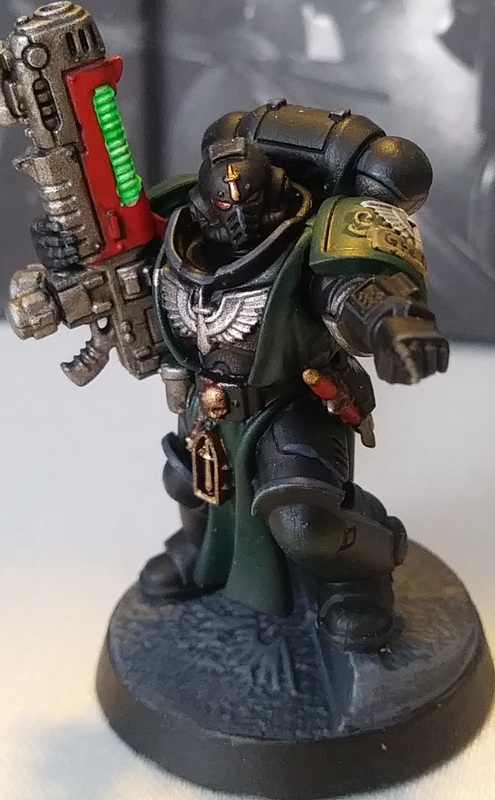 The ACTUAL first model I've fully painted for my Dark Angels. 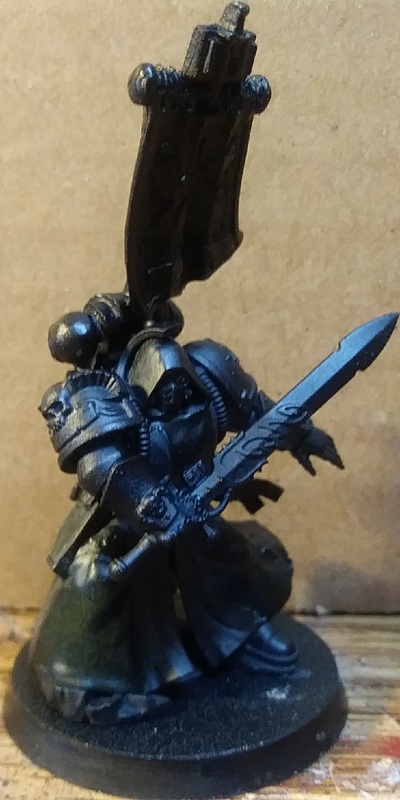 The blending of the Horus Heresy scheme with the "modern" Dark Angel colours for the shoulders on the Primaris looks VERY striking. 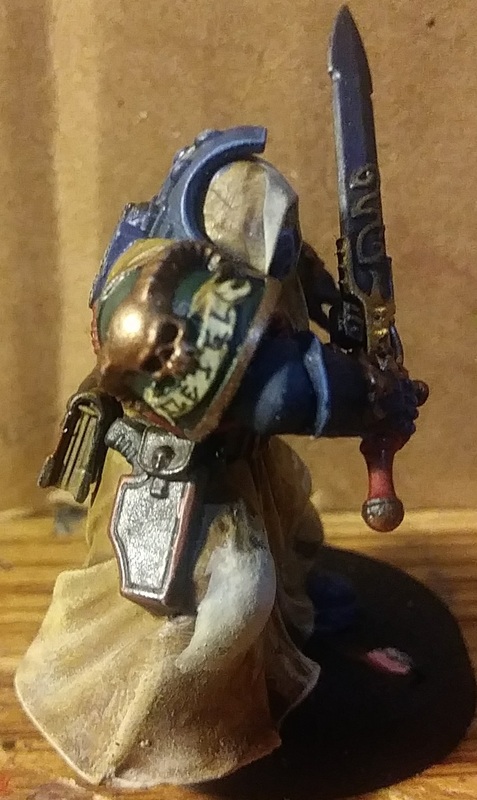 Just need to find a scrollwork shoulder pad and wait for my Company Veterans to come in so I can put one of those little angels on Azrael's chest. Thanks! 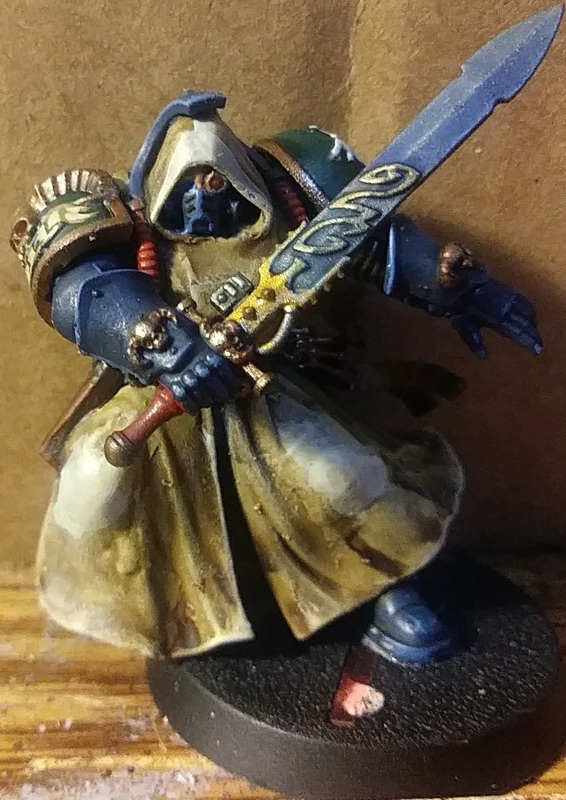 I specifically tried to use as much of the actual Azrael model as possible, but I specifically avoided the head because it does NOT match current depictions of Azrael at all. 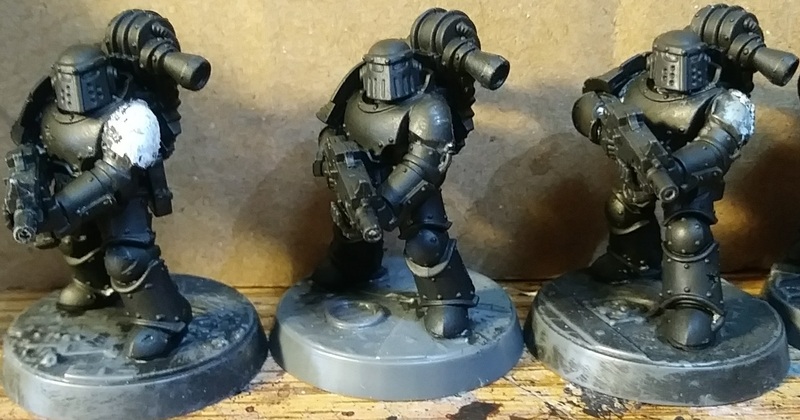 I was originally planning on using one of the bald, but not shouting, heads from either the Mark III or Mark IV marines. 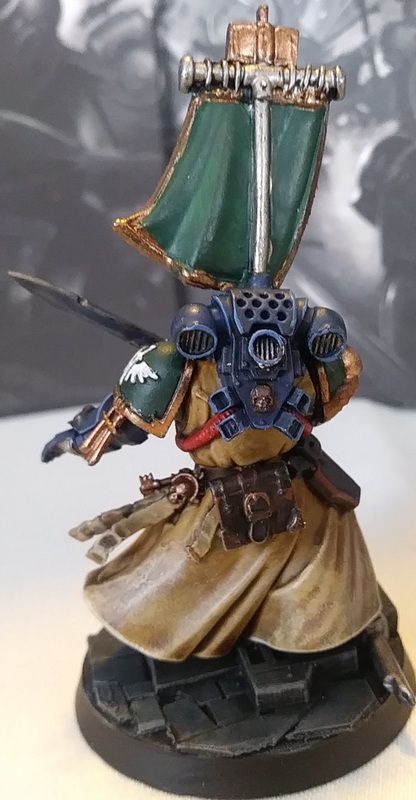 Then I saw that head in the Intercessors kit and thought "oh hey, this works". I'll continue painting him after I get back from work today. "I stand before you, the Holder of the Keys. A great many of the mysteries of our Order are known to me. Our secrets are laid bare before my eyes. It is I and I alone who can grant passage to our most inner circle, who can judge the weak from the strong, the truth from falsehood. I alone bear the Book of Salvation, the sacred record of our unforgiven past and of the tortuous road we had trodden to absolve our great sin. I alone known the names of all those who have Fallen from the Emperor's grace and have been returned to him, through repentance of the soul or absolution of the body. 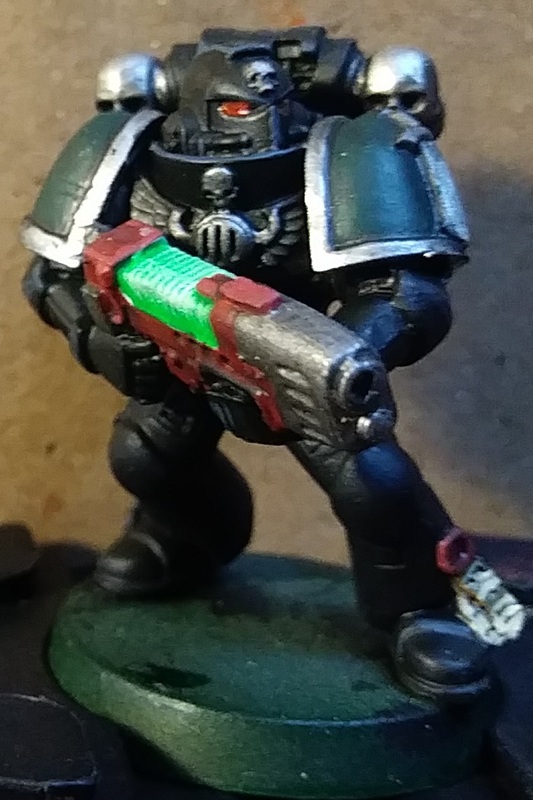 I alone bear these most terrible burdens, for on my shoulders sit the sins of the Dark Angels Legion and I cannot rest while they still remain to stain our honour." And that's Rubicon'd Ezekiel finished. Man, was painting that banner annoying. Nice conversion of the Shadowspear Librarian, the bionic eye is particularly well done 👍. 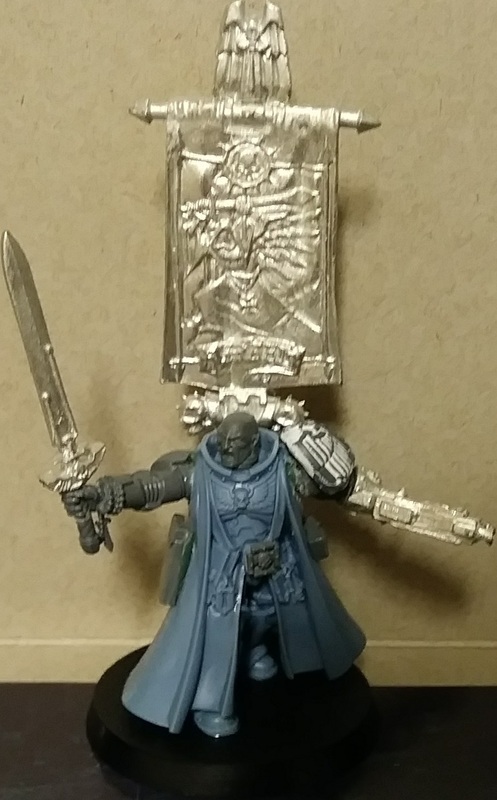 I've been tempted to make some Rubicon versions of the classic characters myself, but it seems inevitable that GW will be releasing official versions themselves, probably with the next version of the DA codex. 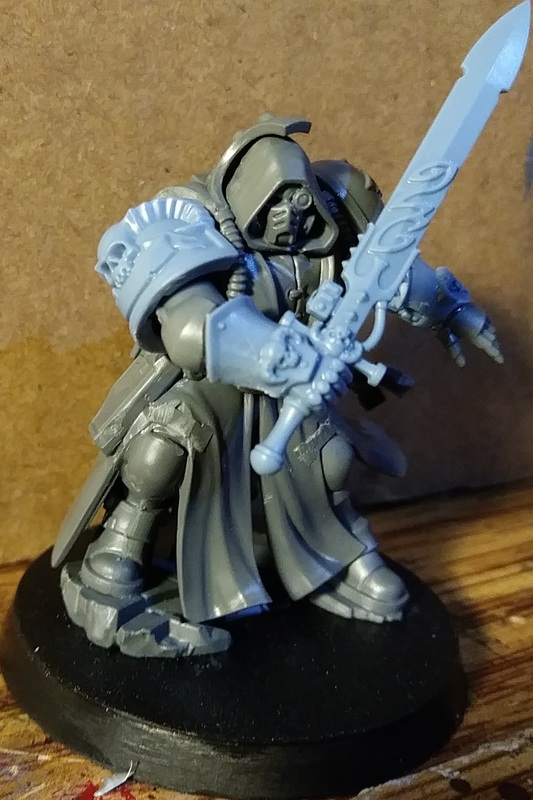 Nice conversion of the Shadowspear Librarian, the bionic eye is particularly well done . I've been tempted to make some Rubicon versions of the classic characters myself, but it seems inevitable that GW will be releasing official versions themselves, probably with the next version of the DA codex. And the thing with the updated characters... I can honestly only really seeing Azrael getting Rubicon'd. If they do any more than him, I'll be honestly astounded. The other characters are more debatable, particularly Belial and Sammael. I suppose it will depend on how Primaris end up being incorporated into the Deathwing and Ravenwing. Didn't realize you'd 'surgically removed' the eye from another head, I'd assumed it was green stuff work. Kudos brother! And yeah. 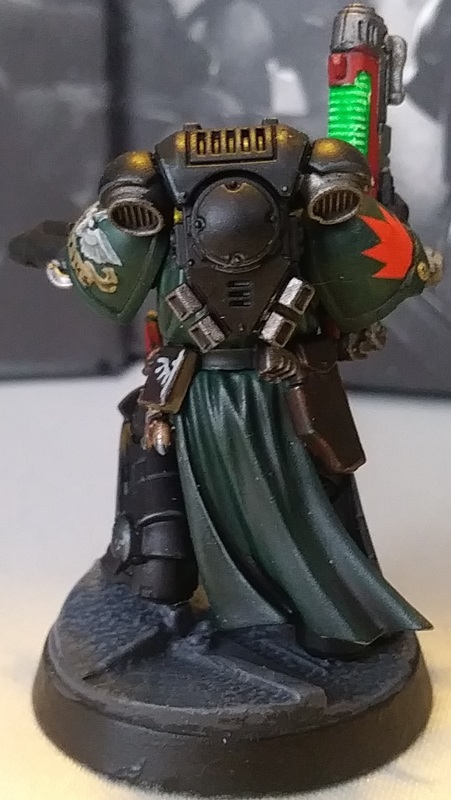 The Azrael and Ezekiel sculpts are beautiful, they're just hilariously out of scale, even with the non-Primaris marines.